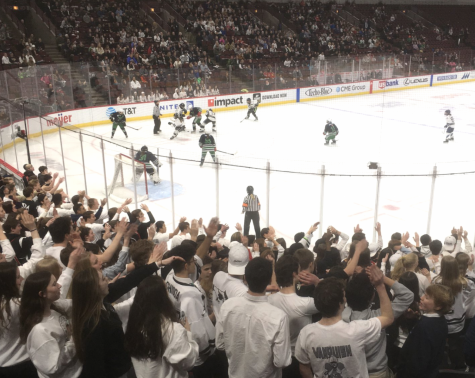 With a liberal dress code and the introduction of areas such as gender neutral bathrooms, New Trier is generally regarded as an accepting school that promotes equality. However, a recent issue within the girls’ track team made some people question just how far that equality stretches. It’s not uncommon to see New Trier students wearing clothing that would get students to most schools sent home or a least in the principal’s office. Many schools across the country are known for implementing dress code rules that are seen as harsh and unfair, especially when they almost always target female students. In that sense, New Trier gives its students more latitude. That attitude was recently called into question by many members of the Girls Track Team. The issue was over the fact that the girls on the team were not allowed to wear tank tops to practice. According to various girls on the team, this seemed unfair to them not only because the rule restricted what they could wear, but also because their uniform for competition consists of a fitted tank top. In addition to that, various girls were also upset over that fact that, according to them, the boys were allowed to run shirtless. The majority of the girls on the team were in agreement the rule was both unfair and unnecessary. According to Natalie Marsh, a junior on the team. “It just seemed illogical to me that our uniforms are tank tops but we couldn’t even wear tank tops to practice,” she said. 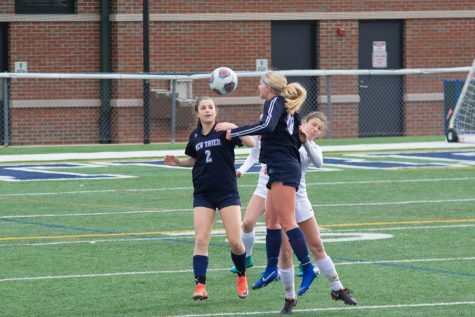 Change began when the girls started voicing their concerns to their coaches, eventually setting up a meeting with head coach Robert Spagnoli to have a proper discussion on the topic. According to Spagnoli, he was happy to sit down and listen to the girls’ concerns. Spagnoli, who is only the second head coach since Girls Track became part of the school’s athletics programs in the early 1970s, inherited the policy from the first head coach. To him, the policy seemed reasonable. “Asking an athlete to wear a t-shirt to practice was always something that was practical and easy for athletes to do, ” said Spagnoli. However, as Marsh pointed out, the policy was only enforced on them; it didn’t apply to the cross country girls or any other sport. The girls wanted the opportunity to practice in more comfortable clothes, especially as the days began to get warmer. A runner on the Boys Team, Junior Noah Flanagan, agreed that they should be able to practice in whatever clothes the girls chose. “I feel like they should be able to at least wear what their uniforms are and they should be able to wear what’s most comfortable to run in,” he said. In addition to that, he confirmed that the long distance boys had run shirtless before. The girls decided to start a petition, which eventually got to athletic director, Randy Oberembt. According to Oberembt, although he felt that the t-shirt policy was reasonable, he also understood the girls’ concerns. He also made it clear that, although it may have happened, the boys team was not allowed to conduct practice shirtless. Still, Oberembt said he met with two girls and a teacher/adviser and discussed the issue with them. After taking what was presented to him into consideration, Oberembt decided to change the policy despite the fact that he felt that the existing one was fair. 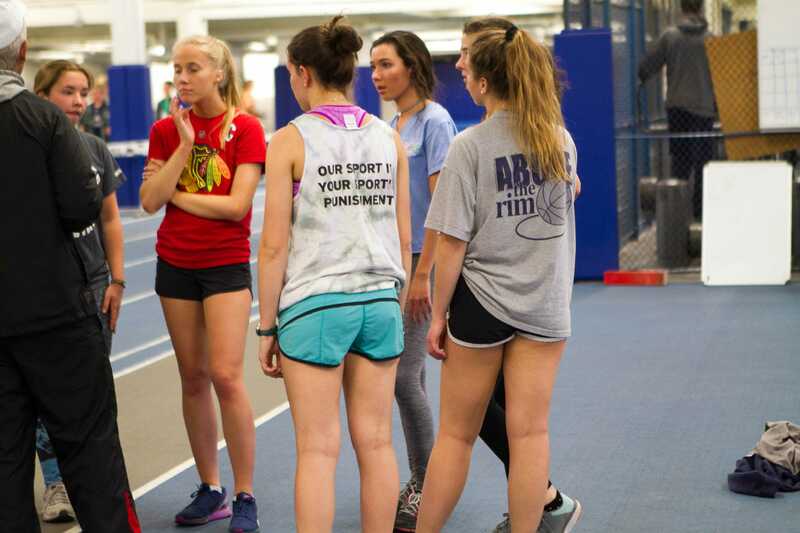 “I felt the existing policy was reasonable; however, in the interest of equity and maintaining equity in both the track and field programs at New Trier, the policy was changed,” said Oberembt. As for the what will come from the change, Oberembt hopes that it will have a good impact. “I’m confident that our efforts to continue to maintain equity and make reasonable decisions regarding our current policies and future policies, is an approach that will yield good results,” he said. “I think that this will lead towards other policy changes in New Trier athletics. With parental involvement, I think that some other unfair policies will be repealed after this precedent,” said Woolford. As of now, the change seems to be having a positive impact. “I’m happy that the rule has changed. I notice people wearing tank tops to practice more so I think everyone is pleased with the increased freedom,” said Marsh.